This week marks my 3 months after relaunch (Actually, Monday was my official 3 months mark)! I’m so glad I’ve poured my heart and soul into this for the last 3 months! It really was a bumpy ride, but yay! I’ve reached my first goal! I can’t wait to continue this and reach my 6 months, my 1 year, my 5 years and more! I was pondering on how to celebrate, so I thought, what better way, than to share with you all more about me and my blog! It’s just going to be completely random things that come to my mind! Without further ado! 1. 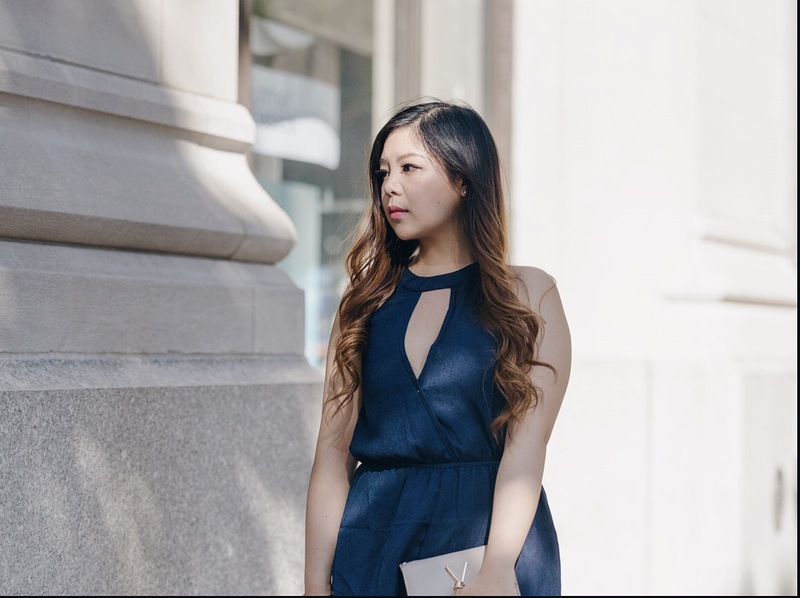 My full name is Ophelia Tang and I started this blog in attempt to find a new passion for myself. You can read more of the story here, if you are interested! 2. The original blog name was itsopheliaaa, which launched in April 2016, but I felt it would not withstand time, so in April 2017, I rebranded and came up with Sincerely Ophelia. 3. Sincerely Ophelia represents the genuine sincere person I am with everything that I share and represent. And everything comes from the bottom of my heart. 4. Sincerely Ophelia was originally supposed to be named Dearest Ophelia or O for Ophelia, but Dearest Ophelia was cliché in the sense that one of my beloved brand was called Dearest Grace. And I did not like how O for Ophelia looked altogether (ex: oforophelia). Now how silly does that look? 5. After launch, I found out there were way many “sincerelys” out there in the blogosphere, so I am still trying to stand out and find my own place as a “sincerely”. Or who knows, maybe one day, I’ll decide to rebrand again! 6. I love music. I graduated with a degree in music and was in a band before. I also, still practice playing music in my spare time. 7. I’m a full time blogger, but I also part time teach piano privately. 8. I would deem myself as competitive, being involved in many competitions before, such as: piano, singing, and beauty pageants. You can read the insider story of my beauty pageant experience here. 9. I love the color pink. I once competed with this guy friend for who loves pink more. And oh boy, guess who won? Me. Duh. And yes, that’s me being competitive. 10. I also have a deep love for purple, because it’s my school’s color and I love my school and it’s student body. You can tell I have too much school pride. HELLO HUNTER COLLEGE-ees! 11. My favorite anime is Sailor Moon. I’m absolutely crazy about it. I grew up watching it and love it’s girl power theme and I found the romance completely romantic and exceptional. And yes, I have an elaborated collection of Sailor Moon collectibles! 12. Because of my crazy love of Sailor Moon, I adopted a black cat and named her Luna. I searched far and wide for a black cat! (Just kidding, they really aren’t that scarce.) I decided to adopt her, because at that time, I was getting over a major heart break and my bestie went with me to adopt her to keep me company. 13. I also have a toy poodle pup named Ningo, who is turning 1 in August! He is caramel in color and is just the sweetest little boy! He is obedient and well trained and went to puppy training classes since he was about 4 months old. His name basically means “mochi” – a japanese sweet rice cake. It’s the Chinese version of it. 14. I also have a boyfriend of 5 years and counting! We met during college years, being core staff in the same club, but a different college branch. We were attending a Winter Camp and being little miss social-able, I knew everybody, EXCEPT HIM! So I approached him and asked who he was, but he wasn’t assigned to my group, so I blurted out, “Oh, so you’re not important.” and walked away. Well let’s just say, that was one interesting first impression. 15. From that impression, you may have it that I can be rude. But I promise, I’m not! I’m just really honest and straight forward. Plus I’m a chatterbox so I say things on my mind sometimes way too quickly and maybe share just a tad too much. 16. I’m a legit drama queen. When I get excited while sharing something I’m passionate about, I get heated up in the moment and may start talking more loudly than I intend. I also started blabbering and speaking really fast. And might I mention, I like to pretend to flip tables for fun? 17. I have a strong sense of justice and am super empathetic. If I see something unjust or if I feel some one is treated poorly, I will not hesitate to stand up for them, forgetting whatever position I am in. 18. I’m a type A person. I am passionate, I set goals and don’t look back. 19. I’m also a bit bourgeois. Very particular about certain things. Guess it stems from my Type A personality. I have an inside joke with my concept photographer – who, by the way, is one of my best friends in High School – about who “bougy” we are. And speaking of her, you won’t believe how we met. We sat at the same desk in High School for different classes and periods, and started writing conversations to each other on the desk and leaving contact info. Yes, boring classes and the crazy things we do in High School – led to a beautiful friendship. 20. I have an obsession over chocolate. It brightens my day. Certain candies have the same effect and that includes a yellow tube of M&M minis and peach rings. Each has a story behind them. 21. I’m a TV fanatic and I most times I can’t sleep without watching about an hour of bed time TV, without disturbance. And yes. I like to watch my Asian dramas – that includes TVB, Taiwan, and Kdrama. 22. I am a Christian and grew up in a Christian family. I have a group of friends in church of whom I grew up with and knew for more than 10 years. Some, even 20! Yes, that’s crazy. How many friendships last that long? Well I have a lovingly annoying kinda relationship with them. But hey, forever love. 23. I love being active and working out. I wanted to become a fitness trainer, yoga teacher and dance instructor in the past. It may be something I’ll continue working on in the future as well! During college years and my fresh out of college years, I did modern dance, pilates, pole dance, HIIT, yoga, aerial silks & hoops, yoga, rock climbing, and more. Now, I don’t have as much time, so I mainly just do cardio and weight training in my spare time. 24. Although I love being active, I can not do any sports that require hand eye coordination. I am terrible at it! And I think that about covers every kind of sport, from tennis to basketball. 25. I make a nifty bartender. I had 3 months of training and working in Hong Kong as a bartender last summer. I love making cocktails, although I don’t personally like to drink alcohol. I’m not into spirits and beer, but I do like a good glass of wine. That’s all! If you’d like to know more about something or have a specific question, feel free to write to me and I’ll try my best to answer! Thanks for these awesome 3 months again! Have a great weekend! Previous Post July 4th Fireworks Spots for New Yorkers! Next Post Is Luxury Make Up at Drug Store Price Possible? Say WINKY LUX! That’s great. I love Naruto as well! I never finished it though. Have to put it on my to-do list. Drums are awesome. I think there are online music tutorials. I think I should contemplate making some. It is so good to know you Ophelia.I hope we stay connected. HI, sorry it says blog not found. Loving this romper on you! What a fun idea. I loved getting to know more about you today! nr 16 sounds like me :)) I love this post, is so personal, it creates a better bond between us, the readers and you. Yes! That was the intention. Glad it was appreciated! This is a cool idea. I read a lot of blogs and don’t ever really get sense of who the blogger is as a person. I’m guilty of it too. This is a perfect way to let us get a more personal perspective of you. I am an active person and I love sports a lot. That would be our common trait I think. Stay adventurous and fit! Love learning more about you and your style!! Yes! I’ll definitely try. They’re kind of hard to capture though! This is such a lovely way to get to know you a little more, well done on your rebrand, you blog looks absolutely amazing by the way! Thank you so so much! I took a lot of time to design it. Also big thank you to pipdig for all the amazing features. I love that name. It just brings to mind grace and beauty. And that goes perfect with the romper. This is also a great way to get to know a fellow blogger. Thank you so much for appreciating all the aesthetics. You and my daughter would get along. Her favorite colors are pink and purple too! That’s great! They’re beautiful alone and as a combo! This was a fun post to read. I am also a TV fanatic. I also have an obsession with chocolate. You’re a fashion and lifestyle blogger in New York. I think there’s a very tough competition for your niche. Lots of luck to you. We’d be glad to help you with what you want to achieve. Don’t hesitate to us ask for anything. I’m sure we’d find a way to make it work. And congratulations on your blog. I love posts like this. It is always fun to learn about my fellow bloggers. You have a beautiful name. haha…. nice to know more about you! pink and purple are in the same tone and great together! Nice to meet and know you hun! I love the idea of getting your readers know more about you. Love this. It’s so interesting to read more about the person behind the blog. I also love pink!! This is a gorgeous outfit you are wearing here. You definitely look good in it. And I loved learning a little bit about everything about you. I can sympathize with trying to stand out and thinking about rebranding. The problem is there are a ton of people out there doing everything. I guess you just stand out by being you. Yes. Definitely tough out there. Nice to meet you. I like the new brand and logo. Congrats! I like the new name, I think it’s catchy. You sound like an interesting person. Enjoyed reading about you. Loved getting to know you better, the first impression you left on your man is too funny. I think its great you also teach piano, many wish they had that skill. That is a great post! SO often we hide behind out post. It’s great to meet you! Good luck on growing your new brand! Thank you. I’m making all the effort to stay true and real to everyone. Thank you so much for the introduction! That’s so awesome that you have been with your bf that long.. good luck to you two! That’s cute! We have so much in common! I’m privilege to know about you through this post. You are unique. Congrats on the achievement of your goals. You also look cute in your outfit. So lovely to learn all these things about you! Have to say your first meeting with your boyfriend story is the best lol! Haha. Glad you appreciated it. Some may think I come off as rude. It’s so nice of you to give a peek into the real you. Loved reading and getting to know you through your blog. You sure sound fun and easy to hang out with. I love pink too. That’s great. Cheers and GL to you too! Wow! Awesome:) Glad to get to know you. My name is Ophalyn and people have hard time pronouncing it so they call me Ophelia haha. That’s funny! I think your name is beautiful as well! Thank you. Cheers to you too! This is a great idea to write the 25 things about the girl behind Sincerely Ophelia. I think it is important for bloggers to show their readers a little bit about their personal life. It shows they are a real person. Thanks for sharing the information about you. I love this type of post! What a great way for your readers to get to know you better!